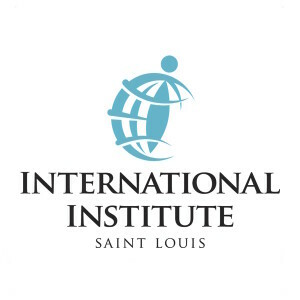 Offer Superior Services Contrary to many other metropolitan areas around the nation, St. Louis owes a significant portion of its growth in foreign-born populations to refugee resettlement, rather than to general immigration. These newcomers who have fled war-torn countries around the world benefit from top notch welcoming services, including English , Computer & Citizenship classes, job search & training, counseling and social work,refugee resettlement, technical assistance, micro-finance funds, translation andinterpretation. Foster Positive Community Relationships In this time of growing racial and ethnic tensions, we help to bridge the cultural gap by producing the annual Festival of Nations. The free festival which annually draws 140,000 visitors offers newcomers and long-timers a means to explore and better appreciate each other’s cultures. We also provide community presentations and cross-cultural training sessions and consulting services. And we offer fee-based interpretation and translation. Promote the Value of Diversity Locally, many officials and other influential are generally positive although only minimally knowledgeable about immigrants and the positive economic impact that such newcomers offer. So we collaborate in numerous local and national initiatives to promote positive social, cultural and economic prosperity for all. Our active participation in such initiatives is critical if our community hopes to achieve its goal of economic prosperity for all.